Blood sugar pricks, that is… what were you thinking the title meant??? Jeremy and Steve here, and we just wanted to give you an update on the new Dexcom G6 that we both got almost two weeks ago now! It’s so awesome to put on the CGM and two hours later, there’s your number. No entering two fingersticks to get started, and no reminder 12 hours later to do it again…. and again… and again. You just get your numbers and that’s that. I’m not lying when I say that I haven’t pricked my finger in two weeks, and you know what? I don’t miss it. The funny thing is that people always ask me, “Is it accurate?” And the truth is, I have no freaking clue. I haven’t calibrated ONCE, but over the years I have learned to trust my Dexcom and the numbers (I wouldn’t do this right away if you are new to CGM). But it dawned on me that the CGM numbers truly are the new standard. Nobody ever asks you if your meter is accurate, because you don’t calibrate your meter with another meter. So similar situation here, this is just the new era of CGM numbers being good enough to entirely replace fingersticks. Crazy. Well I’ve been taking a crap ton of Tylenol just for shits and giggles. That’s right, no more Tylenol interference! Seriously though, this is a big deal. Everybody gets aches and pains, and not having to take NSAIDs with all of their baggage is nice. Not to mention that Tylenol is in a ton of stuff like cold medicine, all the Percocet Steve takes, and mixed in with so many other things people may need. Also, the sensor lasts for 10 days! BUT as far as I can tell you can’t “re-up” after ten days. In order to get the transmitter out of the sensor you literally have to break the sensor in half. So, no more gaming the system and getting your sensors to last until they are dangling from your skin like a month old wet Band-Aid. The new auto-inserter is awesome, although it sounds like you are being shot when you press the button, but it’s nice and easy for sure. And it makes it easy to get to those hard to reach spots like the back of your arm, so you have more real estate to play with. So all in all, this is a true improvement that I’m honestly excited about. The one downside? Well there is a new app, and to be honest, I don’t like it as much as the old one. It wasn’t broke and they went and “fixed” it…. but I’m sure it can be fixed again. Also I can’t get it to work with LOOP yet (LOOPing Edelman Report coming soon) so I’m actually using my G6 to calibrate my G5. Champagne problems. So there you have it. Steve? I have been lucky to be able to try all the new medications and devices very early before their introduction to the market. I didn’t think too much about it, until I got my G6 in the mail a week ago. Even though I like to insert things myself and I’ve never before used auto inserters, the mandatory G6 inserter is very cool and super easy to use. Then …no calibration needed at the 2-hour mark…it just started working. Then…no more daily calibration…AT ALL! After the first few days it dawned on me, I have not pricked my finger once! Now it has been a week and I have not pricked my finger once! NOW after living with type 1 for 48 fricking (…and pricking) years, I don’t have to stab my finger and squeeze blood out of those little holes for a glucose reading that is isolated in time. I don’t even really need to get my A1c drawn because the most accurate measurement of my average blood glucose over the past 2 to 3 months is my average glucose over the past 2 to 3 months! And I can get that info with my clarity app, along with the standard deviation and time-in-range stats. Next is the artificial pancreas. Come on baby! Hi Steve, Thanks for the Updates on the G6. Why wouldn’t you do an occasional finger-stick just to see if the G6 matches your finger-stick number? Until you are confident the two systems match up? Any idea from your contacts at Dexcom when the G6 will be covered by Medicare?? Hi Bill, It’s always good to double check here and there with your meter, but make sure your hands are clean and you’re using a brand name glucose meter because they’re the most accurate. Dr. Edelman does double check from time to him himself. Unfortunately we don’t know about Medicare – they are a total wildcard. 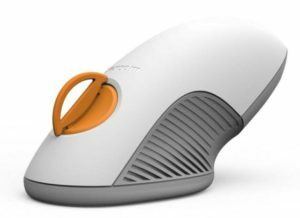 I have used the Libre in the past, with many of the same features and benefits. That only needed to be replaced every two weeks. It seemed to be a little more accurste at times, but it did not have alarms that I could preset. It will be nice to have choices soon. I am using the Libre system and love it. I am also on Dexcom 5 and will me upgrade to Dexcom 6 once it it completely closed loop. That is expected to happen in the next few months. Can’t wait. Arcata Ca. I’m have to really struggle with partnership insurance to approve a Dexcom CGM for My folks w T1DM. Any trade secrets? ??? You have to push, push and push some more. Focus on their safety, hypo unawareness (even if only partial) leading to falls, and that you will sue them if anything happens to the patient because of their delay. I have Type 2 Diabetes and was able to try the G5. I loved it because I could begin to recognize the relationship between my glucose level and how I was feeling. Doing two or three finger sticks a day does not relay that type of information. Or, at least, not to me. Then I found out that the sensor would cost me, out of pocket, $350.00 a month. That was not in my budget. That is more than my car payment. Once I get my car paid off in 3 years, perhaps then I can afford the sensors. Being able to frequently see my glucose levels and compare it with how I was feeling, and know what I had eaten was helping me become more aware of how my eating habits and choices were affecting me physically. I guess it takes longer for some of us. Anyway, it will be nice when the insurance companies see that it is more about people’s health than it is the money. 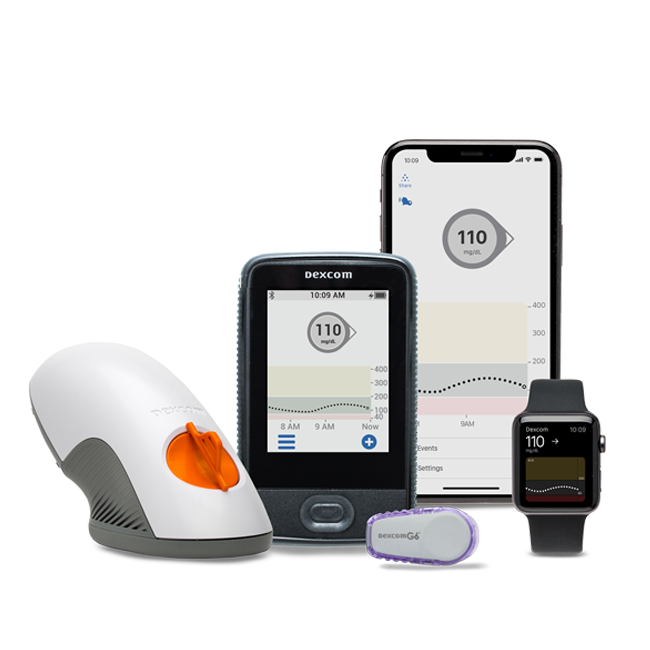 I am trying to find financial help to get the Dexcom G6. Do you know of any resources? We aren’t aware of any programs that provide financial assistance for the G6, but if we hear of anything we will definitely let you know. Thank you so much for your advice and continued support. I am a fellow physician with poorly controlled type 1 diabetes for 47 years. My last trial in 2014 with a Dexcom sensor and Minimed insulin pump were unsuccessful due to pain at the insertion sites, cumbersome tubing, and requirement to carry multiple devices. Due to the progression of complications and the advances in technology, I decided that I really needed to make an effort to gain control of my diabetes with another glucose sensor and insulin pump. I decided on the Dexcom G6 sensor which I received on July 3rd. I reviewed multiple videos on YouTube and TCOYD regarding the application, skin adhesives (Skin Tac and GrifGrips), and user manual before applying the sensor. I was pleasantly surprised how easy it was to use the applicator, secure the sensor in place, and amazingly there was no pain! I had to choose the receiver setup because my phone was not compatible with the app but all very easy. Calibration only required a couple of initial fingersticks but I tested frequently just because I was new to a sensor. Initial readings varied up to 30-40 mg/dL between the sensor and my OneTouch Ultra 2 meter but improved with each calibration. There was obviously lots of adjustments and a learning curve being new to a sensor, but overall, I was happy with the device which allowed me to make the necessary adjustments for better control. 1) Sensor 10-day Hard Stop. This feature could not be overridden using the receiver despite multiple attempts to stop the sensor, start new sensor with No Code, and going through the warm up process. I have seen one website showing how to override with the app but again my smartphone was incompatible. 2) Applicator malfunction. After needing to replace a completely good sensor due to the 10 day Hard Stop, I thought it would be an easy process as before. I wish! The applicators on my two remaining sensors would not release the sensor despite the correct application. Dexcom technical support stated that it was a malfunction and that they would replace both…..in 10 days because it is on back order. 3) Online Dexcom G6 User guide is more comprehensive than the manual provided in the package. The online guide is much more comprehensive in regard to the Apps and provides displays that can only be shown within the Apps. 4) App compatibility. Unable to use the Apps with older phones. App has display features that you cannot get with the receiver or Clarity. Pages 115 and 131. The cost for a new phone ~ $800 which can be prohibitive. 5) Software. The 4 platforms (receiver, iPhone, Android, and Clarity) do not provide the same displays or features. For those diabetics not on an insulin pump, you are unable to input the type of insulin used when using the receiver. It would be nice if all the platforms were similar. Overall, I am happy that I chose the Dexcom G6. It is a new device so expect some glitches. Thoughts or suggestions? I’m so glad you decided to start the G6. One thing to make sure you do before your finger stick is to wash your hands, because if your hands aren’t perfectly clean and dry you’re going to get an abnormal number on your meter. Also make sure to use the trend arrows to adjust your insulin dosing. We’d be happy to send you a reference on how to do that if you’re interested. 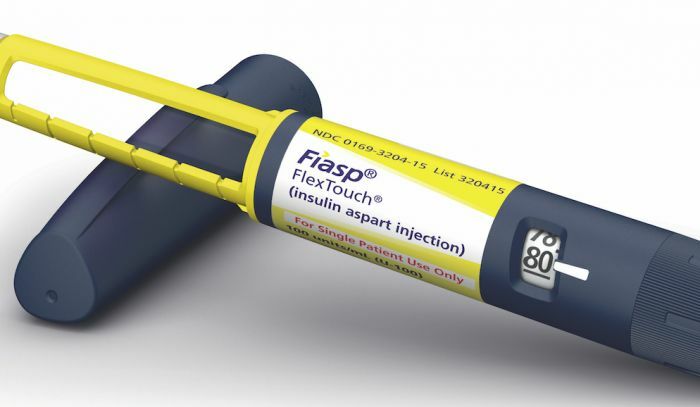 The FDA required the 10-day hard stop and did not allow Dexcom to let people extend the use due to their concern for the accuracy after 10 days. Regarding phone compatibility, I don’t know for sure, but I believe the Dexcom folks are working hard to make it compatible for all phones.